There is on-street parking available on Main Street and local cross streets. Additional parking available at the Watertown Police Station, 552 Main Street, this is a two- minute walk to the church. Evie came running and saw her Sunday morning small group leader, heading down the hall. As soon as Patti heard Evie, she turned around, and then there was a running embrace in the middle of our terminal. 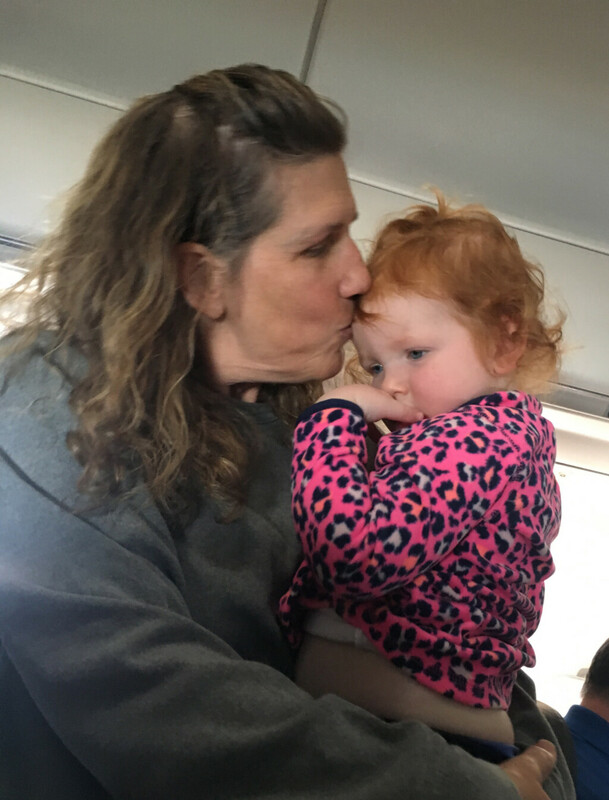 We had a layover in Chicago, and it turned out Patti was on our flight. Miss Patti has given this family, and many others, the Gift of Presence. She has invested her time to be a faith parent. And just look at the return on her investment! As you think about your year-end giving, and planning for the New Year, have you considered the “return on investment” (ROI) you can receive when you give the gift of presence as a faith parent? If you were serving in Early Childhood you might see re-enactments of our worship leaders playing guitar, or a budding preacher who put his toy walkie-talkie on his belt (like a microphone pack) so he could pretend to be Pastor Bryan preaching on Child Dedication Sunday. Our children are not the church of the future - just as our older members are not the church of yesterday. We are all the church of today. Children’s ministry is a high priority, with the window of greatest receptivity to the gospel between the ages of 4 and 14. We need adults who take seriously their vow to be faith parents to the children of the congregation. Adults who want to be a part moments like these! Give the gift of presence in 2018. The ROI is worth every hour, every Sunday, every lesson. And it comes in the form of a hug, a smile, a child catching the truth of what you are learning together, a little boy who wants to pretend he is a pastor, a little girl who wants to be a missionary when she grows up. Our children are waiting for the Lord to write on the pages of their hearts – and, as Mother Theresa once said, you can be “the pencil in the hand of God!” There is no greater return on an investment than a heart that has turned to Jesus. Say “YES” to an ROI that is out of this world! Visit our Kidstown ministry webpage for more information on how you can be a part of a child’s story! Summary: Devastating floods from hurricane Harvey have overwhelmed Houston; the heaviest monsoon rainfall in more than 15 years in parts of south Asia has killed more than 1200 people and displaced as many as 30 million others. These two tragedies call us to respond, in Jesus’ name. But what forms should that response take? It’s hurricane season. A devastating, history-making storm is slowly making its way up and around the Gulf of Mexico. So many lives disrupted, property damaged . . . and the waters haven’t yet crested. Thirty-one reported deaths so far. Around the world in South Asia (India, Nepal, Bangladesh), there’s another seasonal but devastating water event: monsoon rains are affecting 16 million people. Over 1200 have died in flooding in northern India/southern Nepal. Almost 2,000 relief camps have been established, the U.N. says. Millions of people have been displaced or stranded by the storms, which have stretched for weeks. You have to be pretty calloused to not want to help in some way. We see pictures of real suffering. We hear pleas for assistance. The tricky part is, what kind of help really helps? After all, most of us are observing and praying for those affected by these cataclysmic floods from afar. What can we do to help? Recovering from a disaster is a marathon and not a sprint. Robert Radtke, president of Episcopal Relief and Development, suggests that there are three phases to disaster relief: Rescue, Relief, and Recovery. Experts say time and time again, in the face of disaster, money, not donated items, is most helpful. People often donate items that end up being more of a burden than a help. We want to join in relief efforts to help those suffering in these widespread humanitarian disasters. We'll take a special offering this Sunday, September 3, to respond in love and care to those affected by damaging rains in our country and in Nepal and India. MAP International provides medicine and medical supplies around the world. In response to Hurricane Harvey, MAP International is responding with thousands of personal hygiene kits, including toothbrushes, toothpaste, and soap for people in shelters.All of these items will be critical in ensuring that disease doesn't spread following this disaster. Somebody Cares America Inc. is a Houston-based ministry network founded in 1981. They have a prayerful, local church-based response to disaster. In the current crisis, they’ve provided hot meals to first responders and those in shelters, offered crisis and trauma chaplaincy, distributed shelter and hygiene supplies, clothing, and baby supplies. Good News for India is led by Grace Chapel partners George and Leela Chavanikamannil. Through their network of local pastors and churches, they can bring relief to many who have lost their homes because of the excessive monsoon rains. A group of radical Hindus are preventing aid groups from reaching areas where there are several churches. World Relief, a partner with Grace Chapel, is working with the United Mission to Nepal to respond to the flooding and landslides in the Tarai plains of southern Nepal/northern India. The focus is to provide immediate relief to over 6,000 families with food and cooking supplies, temporary shelter, and hygiene and dignity kits. In person at our worship services, place your cash donation in an envelope marked “Flood Relief” and drop it in the offering plate. If giving with a check, please write “Flood Relief” in the memo line on your check. Give securely by texting #floodrelief to 781-995-3435. We’ll bounce back a secure, mobile-friendly form for you to donate. 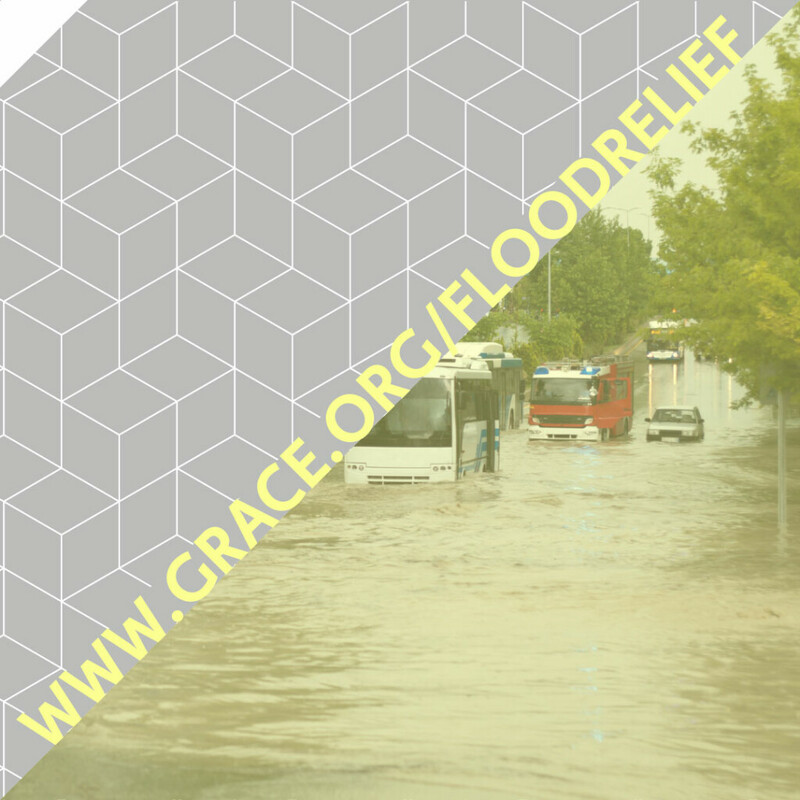 If you give online through MyGraceChapel.org, choose our Special Mission Project option in the fund menu and enter “Flood Relief” in the “optional memo” field. As always, 100% of gifts designated for flood relief are passed through directly to this urgent need. In addition to our giving of finances, will you give the strong and powerful gift of prayer to those suffering and in need? Holy God, source of life, lover of souls, out of the depths we call to you; in the face of incomprehensible anguish and sorrow, we lift the cries of our distress and implore you to show mercy upon those who are suffering from the destruction of Hurricane Harvey and the powerful monsoon rains in India, Nepal and Bangladesh. We pray for the loved ones who grieve, asking you to hold them in the arms of your love; we pray for those who have been injured in body, mind or spirit and ask you to heal them; we pray for those who are homeless and wandering, for families torn asunder, and ask you to shelter them. Strengthen the hands and hearts of those who assist in relief efforts, and grant us all firm resolve to stand with our neighbors who are in need, to love them and to offer our generous support of them in this their time of trouble; through Jesus Christ our Lord, who lives and reigns with you and the Holy Spirit, now and forever. Amen. Your aid to Houston after Hurricane Harvey will not be in vain. She’s a thankful kind of girl, our city. Her children try hard to take care of their own, but we’re going to need your help this time. We are devastated. They say it will take many months and perhaps even several years to put us back together again. Please don’t soon forget us. Don’t forget our rescue workers. Don’t forget our law enforcement. Don’t forget our children and our babies. Don’t forget our poor. Don’t forget our homeless. Don’t forget our elderly. Don’t forget our sick. Don’t forget our residents who suffer mental disabilities. They are so disoriented and afraid. As the people of the Gulf region and the people of South Asia face the long road to recovery and restoration, may we—the Grace Chapel community—offer helping that really helps. Let’s continue to be the hands and feet of Jesus through our generous gifts of prayers and finances. And may the Lord show his mercy and grace to those who suffer from these disasters. Deeper, Closer, Wider is a blog shared by the pastors and staff of Grace Chapel. We'll share thoughts, stories, and applicable ways to help you grow deeper in your faith, get closer to your community, and reach wider with the surprising message of God's grace.